Jonathan has been practicing with Banister & Company since 2010. Prior to joining us, he practiced as a sole practitioner with North Star Law. Jonathan graduated from the University of Victoria’s faculty of law in 2007. He clerked at the British Columbia Supreme Court and completed his articles with a large downtown law firm. 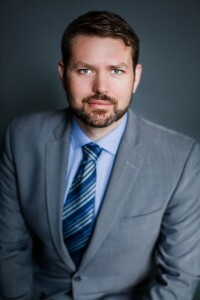 He has appeared at all levels of court in British Columbia and has represented clients before arbitration boards, the British Columbia Labour Relations Board, the Human Rights Tribunal, the Workers’ Compensation Appeal Tribunal, the Review Division of WorkSafe, and at mediation. Jonathan has taught at the Canadian Labour Congress’ Winter School and currently sits on the Employment Standards Coalition, an organization that is seeking legislative reform to better working conditions in the province. Jonathan is currently a director of the Firehall Arts Centre and of Pedal Energy Development Alternatives, and holds a Master’s Degree in sociology from the University of British Columbia.